Ahh, strawberries! The ultimate summer fruit! Who doesn’t love them? 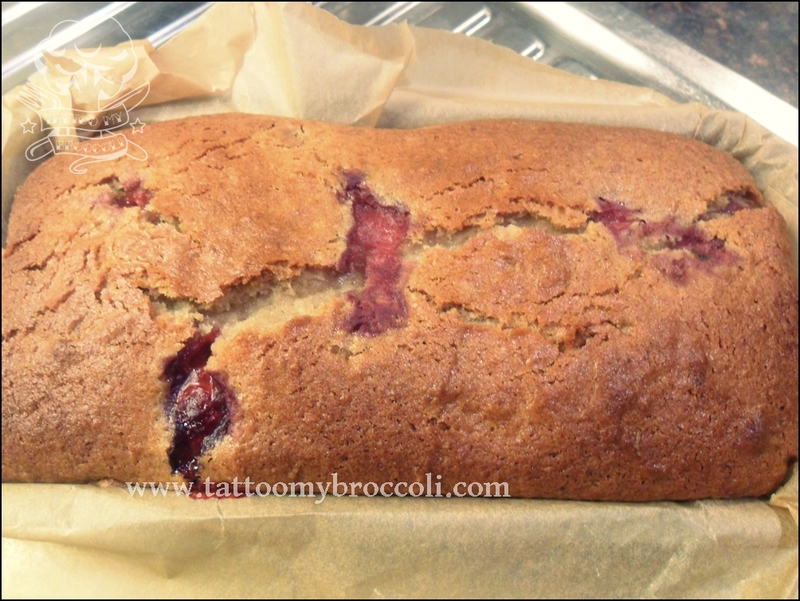 This recipe is an eggless, vegan cake with delicious strawberries. I started thinking about this recipe when I ran out of eggs one day and really wanted to bake something without having to go to the shop. So here you have it. It takes a while in the oven and being vegan it does have a slightly different flavour and smell. Still delicious though. As this cake bakes for such a long time, it’s a good idea to check on it periodically and cover it with aluminium to prevent the top from burning. A lot depends on the strawberries. The more juice they release into the dough, the longer it takes to cook, so keep your cocktail stick at the ready to jab and know for sure. 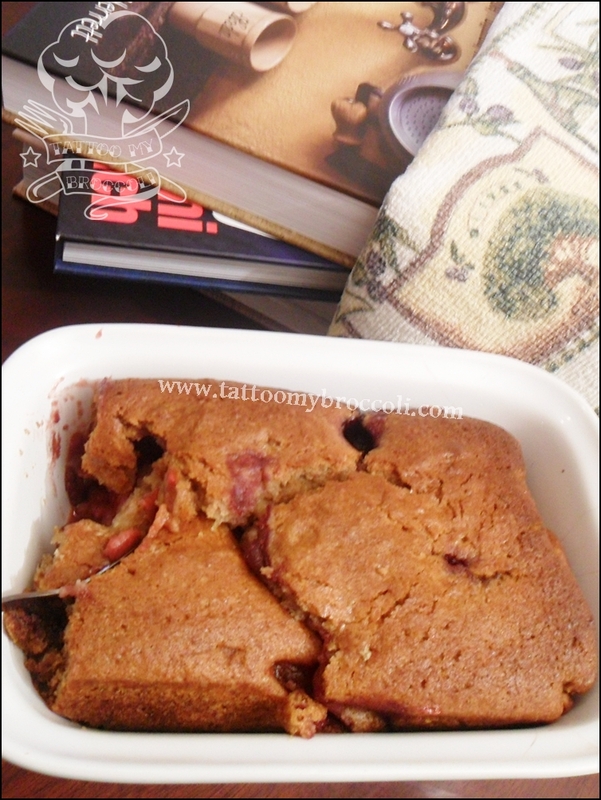 The baking time I provided here is for super juicy fruit or even a batch from the freezer, so if you use hard, young berries, you could be done within an hour. 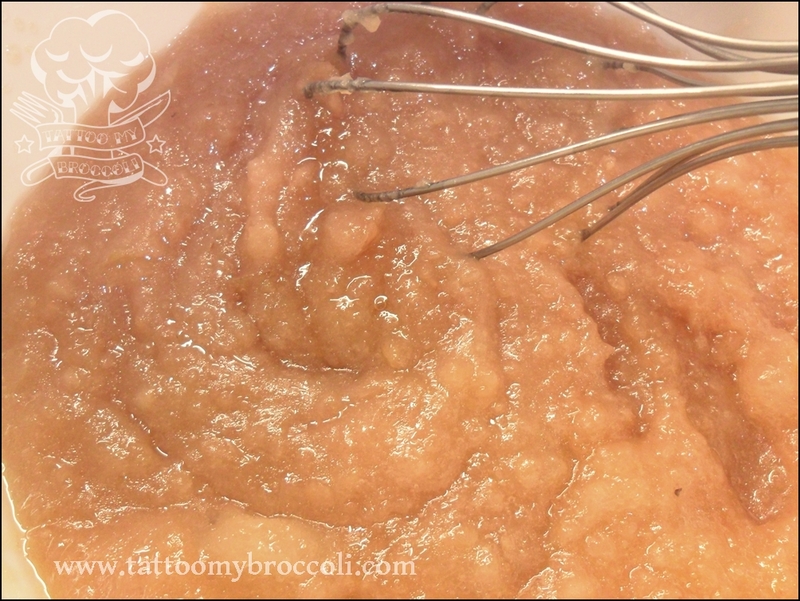 In a medium bowl mix applesauce, oil, vanilla extract and sugar until smooth. 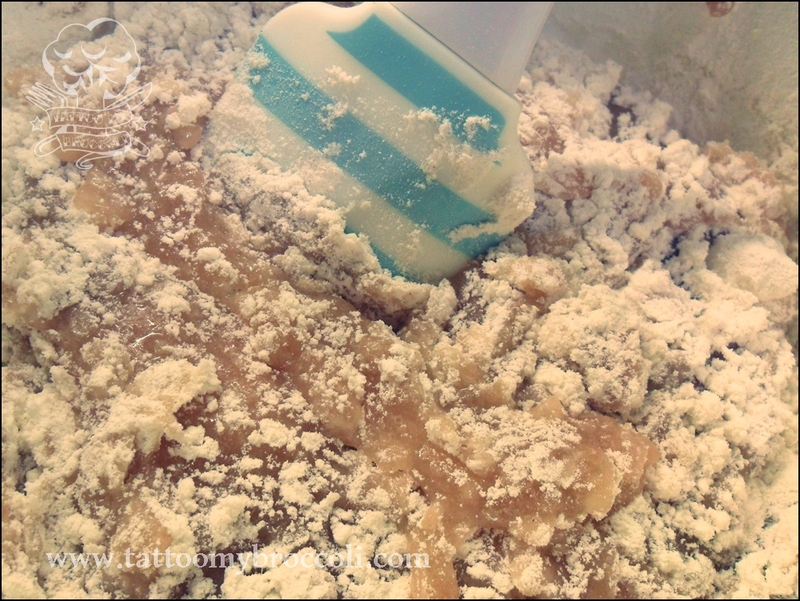 Mix flour, baking powder and bicarbonate of soda in a separate bowl until evenly distributed and add to the applesauce mixture. Fold together with a spatula until there are no more streaks of flour. Add strawberries and gently stir them in. 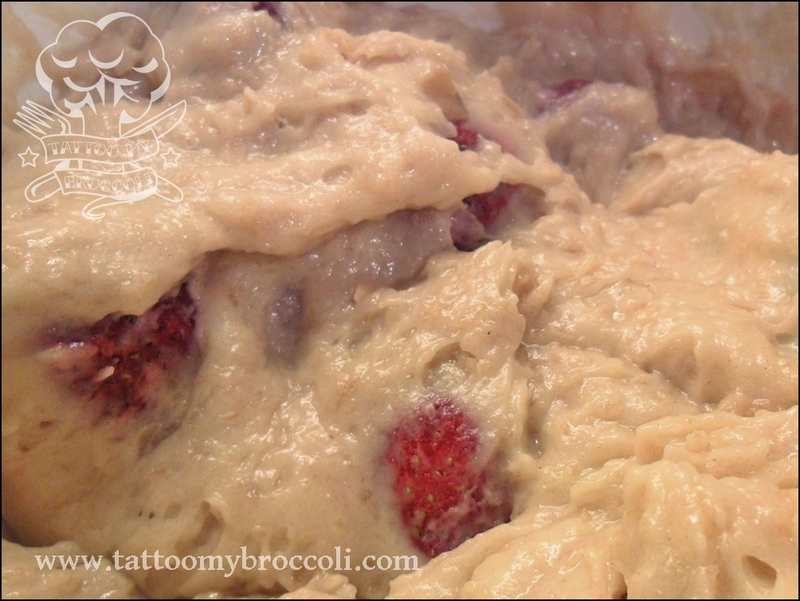 Pour the mixture into a lined, small loaf tin and bake for 1 hour and 15 minutes.